A community park held a fun day as part of the Mayor’s Community Weekend in Wednesdbury. The event aims to 'encourage communities to come together and celebrate our region's diversity'. There was a budget of just £500 for the day, funded in partnership with the Big Lottery Fund, who gave grants to 100 events in the region. The event, held at Hydes Road Play Area on Saturday 30th June, lasted from 11am to 3pm. 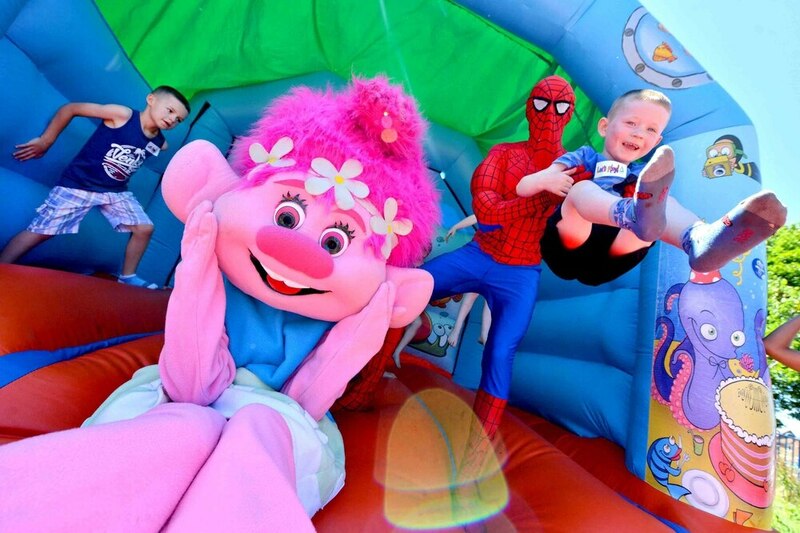 More than 170 children between the ages of three and 11 turned up to the event with parents in tow to enjoy a bouncy castle, mascots and face paints. It was organised by Groundwork, an environmental organisation, and Lets Play, part of the Go Play Sandwell programme and funded by Sandwell council. Sera Richards-Perry, one of the organisers of the event, said there was a 'community feel' about the day. "The event was organised by the people of Wednesbury, for the people of Wednesbury," she said. Attractions included a free tombola for the parents to take part in, while the children enjoyed an ice cream in the heat.